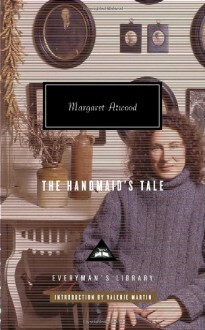 (Book Jacket Status: Jacketed)A gripping vision of our society radically overturned by a theocratic revolution, Margaret Atwood’s The Handmaid's Tale has become one of the most powerful and most widely read novels of our time.Offred is a Handmaid in the Republic of Gilead, serving in the household of the enigmatic Commander and his bitter wife. She may go out once a day to markets whose signs are now pictures because women are not allowed to read. She must pray that the Commander makes her pregnant, for in a time of declining birthrates her value lies in her fertility, and failure means exile to the dangerously polluted Colonies. Offred can remember a time when she lived with her husband and daughter and had a job, before she lost even her own name. Now she navigates the intimate secrets of those who control her every move, risking her life in breaking the rules. Like Aldous Huxley’s Brave New World and George Orwell’s Nineteen Eighty-Four, The Handmaid's Tale has endured not only as a literary landmark but as a warning of a possible future that is still chillingly relevant.